In essence the entity known as Fimbul formed in Norway during the winter of 1994 by creator Ramn. Ramn, who was previously in the band Eclipse, wanted to make a project that was more to his own style, playing all instruments by himself. 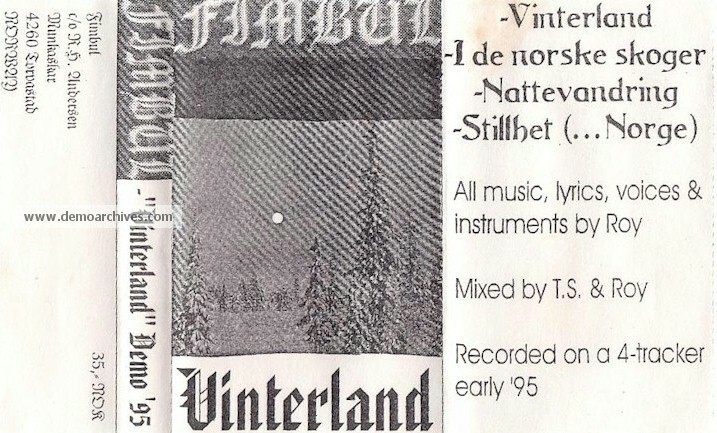 Fimbul released two demos in 1995, "Vinterland" and "Det Siste Slaget", which can be described as Grim, Atmospheric Dark Metal Symphonies. Xeroxed covers. Need more info. 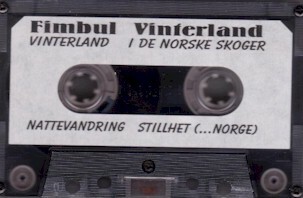 Twelve years later "Vinterland", and "Det Siste Slaget" have been combined as a compilation CD, called "Ramnens Ferd", the first time this material was available on CD format.